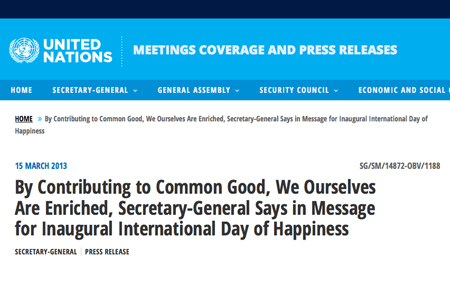 The International Day of Happiness main page on the United Nations website. 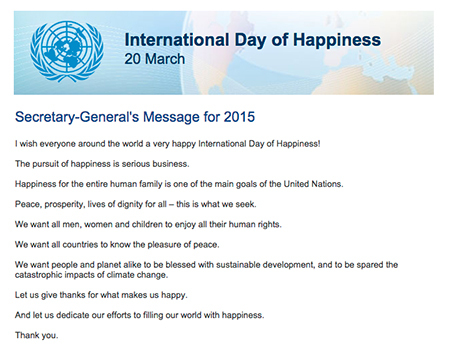 UN Secretary-General Ban Ki-Moon’s message for the 2015 International Day of Happiness. 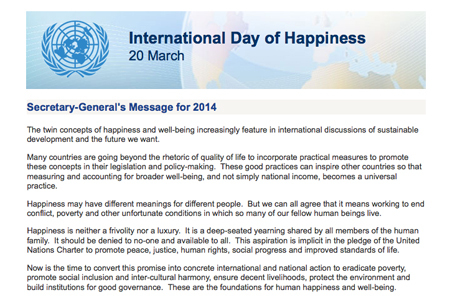 UN Secretary-General Ban Ki-Moon’s message for the 2014 International Day of Happiness. 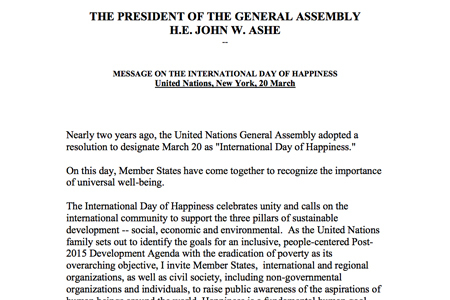 UN President’s message for the 2014 International Day of Happiness. 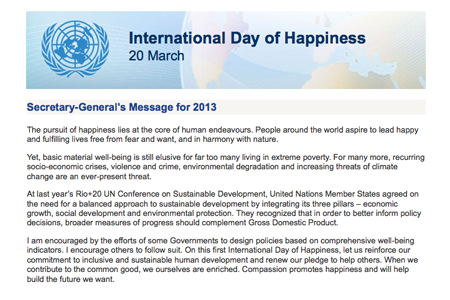 UN Secretary-General Ban Ki-Moon’s message for the 2013 International Day of Happiness. 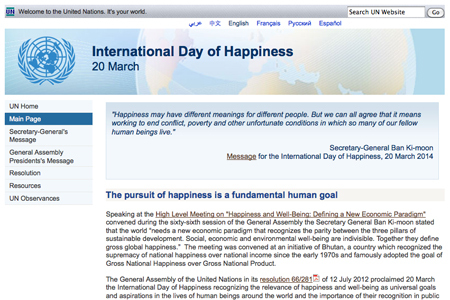 UN Secretary-General Ban Ki-Moon’s Press Release concerning the first International Day of Happiness in 2013. 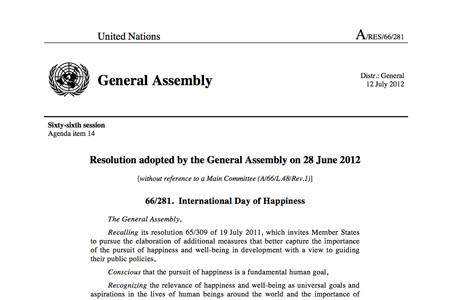 United Nations Resolution 66/281: International Day of Happiness. 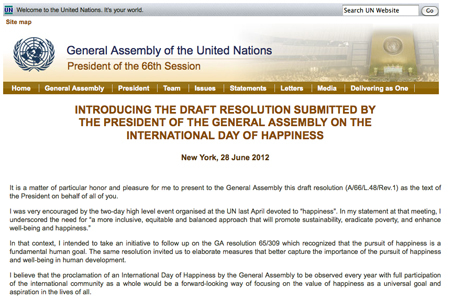 UN President introduces Resolution 66/281: International Day of Happiness. UN Resolution 65/309: Happiness: towards a holistic approach to development.